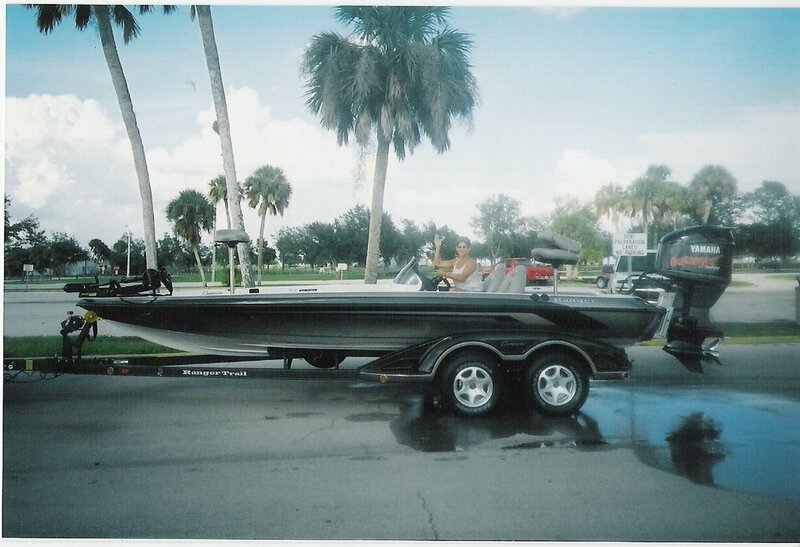 Oct 1, 2006- We finally got our new boat! 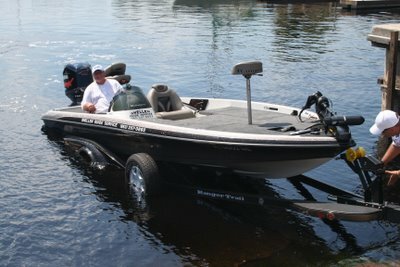 it is a 2007 Ranger 521VX with a 250 Yamaha Vmax HPDI, She has all the new technology and is equipped with a Minn Kota 101- 36 volt trolling motor that is hooked up to a bow mount Lowrance 332c sonar unit that can be used while using the trolling motor, an in dash Lowrance 336C GPS-Sonar, and more storage space than I have ever seen in a bass boat. The ride is incredible, fast and very stable. This boat has a full bench seat that will seat everyone comfortably. We are very excited about the upcoming season and fishing with our friends out of our new Ranger. The FLW asked me to accompany an outdoor writer today during the final BFL tournament of the year on Okeechobee. As the media boat we followed and photographed the top anglers in the circuit. It provided a different perspective than fishing, it was a fun day. I fished with Mike And Beth D’agostino today we caught and released 17 bass on live wild shiners, Mike had a shot at a big fish but she abused us and got off. ← Lake Okeechobee Fishing Guides: 11lb 9oz Okeechobee Giant!